MIAMI — Duke has replaced Kansas atop the new Associated Press Top 25 college basketball rankings, following an exciting start to the new season. The Blue Devils (2-0) made the leap from fourth to No. 1 after crushing preseason No. 2 ranked Kentucky by 34 points in the Champions Classic season opener last Tuesday night. 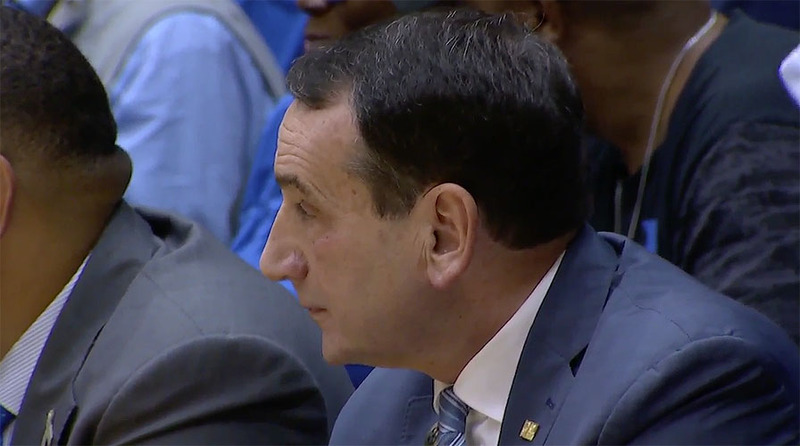 They followed that with a 94-72 win Sunday afternoon against Army at Cameron Indoor Stadium. Duke, which secured 48 of 65 first-place votes on Monday, plays next on Wednesday night against Eastern Michigan at Cameron Indoor Stadium. Meanwhile, Kansas slipped one place to No. 2 but claimed 14 first-place votes from the panel, while Gonzaga held firm at No. 3. Virginia, which is up one spot to No. 4 got two votes for first place with Tennessee collecting the other first-place vote and completed the Top 5. Nevada at No. 6, North Carolina, Villanova and Auburn are also in the Top 10. Kentucky, meanwhile, dropped eight places to tenth with Michigan State slipping a notch to No. 11. There are two newcomers this week, Marquette at No. 24 and Buffalo at No. 25. West Virginia (13) and Washington (25) are the teams making way. Buffalo enters the poll after pulling off another big 99-94 upset against West Virginia in overtime Friday night. Marquette has also made a 2-0 start to the season.